We are incredibly lucky to get to do what we do. This shoot was the perfect reminder of that. 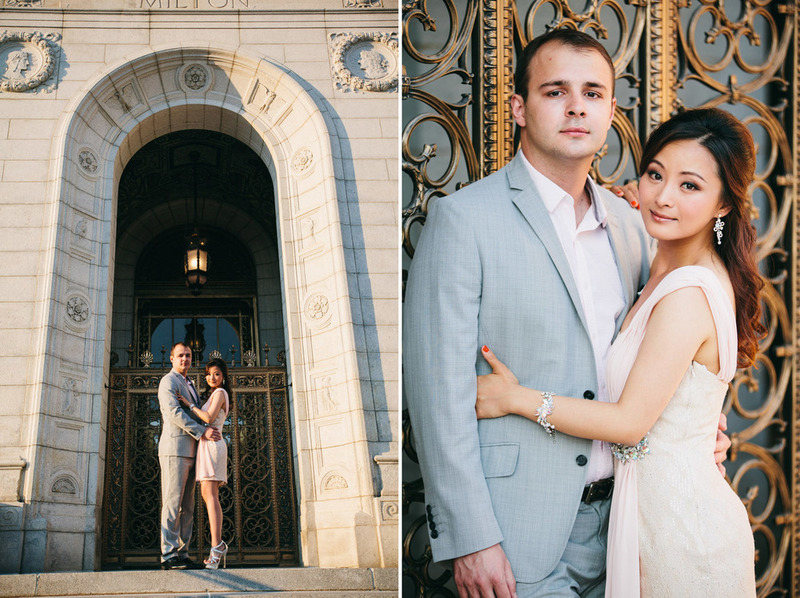 Ying and Marko are an awesome couple - they are so likeable, down-to-earth, and stylish. Ying and Marko complement each other perfectly; they make a wonderful pair. 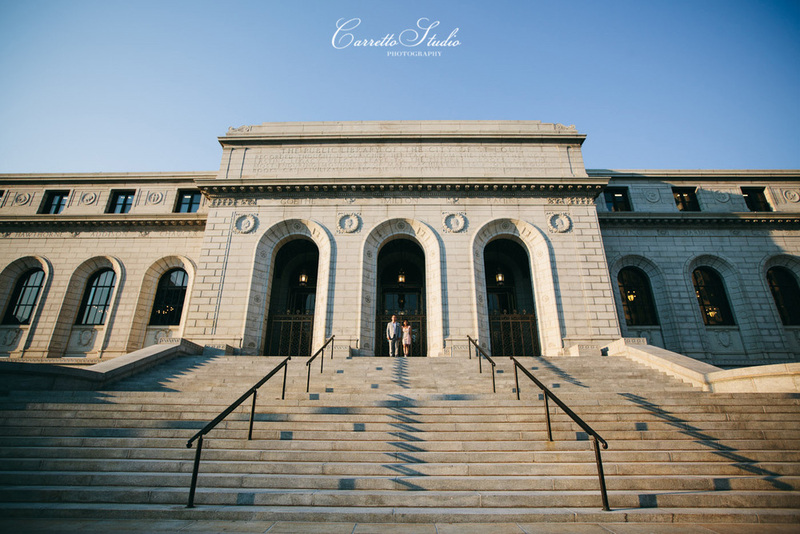 For their engagement shoot, we wanted something really elegant and timeless, with modern flair. I loved the outfits that Ying and Marko put together. 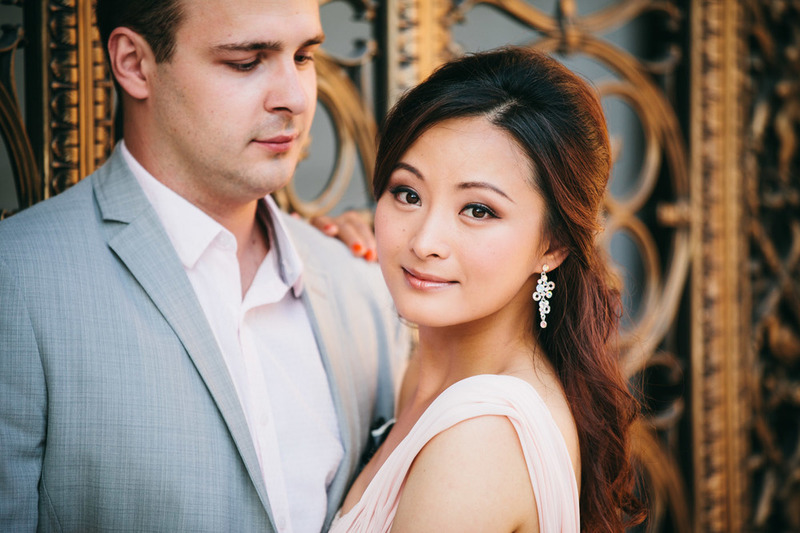 Marko's grey suit with polka-dotted pocket square was the perfect accent to Ying's one shoulder pink dress. Ying is going to be an absolutely stunning bride, and I'm sure her wedding dress is going to be absolutely divine. 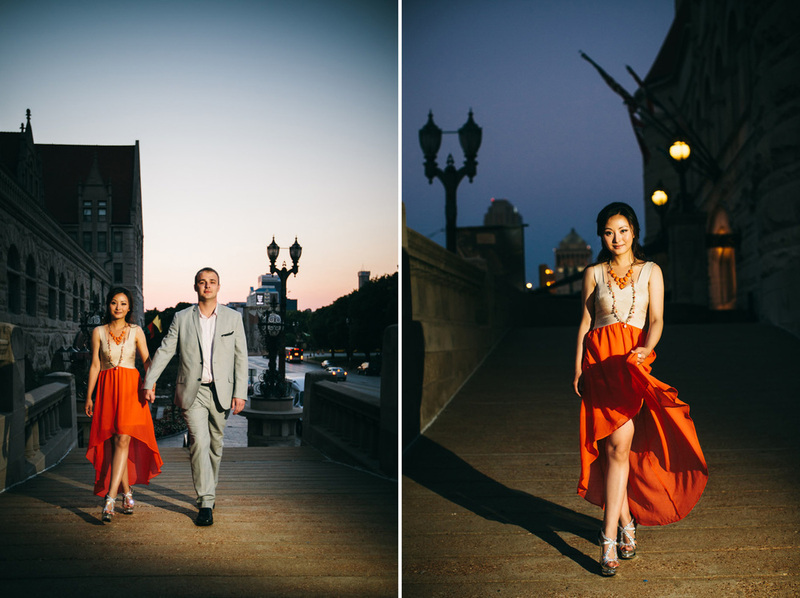 If this shoot is any indication, their wedding is going to be incredible - we absolutely can't wait.